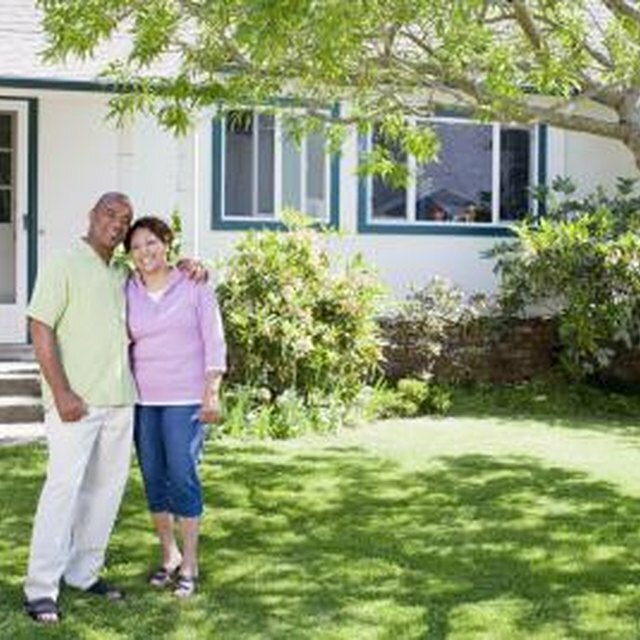 Rent-to-own is an alternative way to purchase a home. For buyers, the purchase method gives the right to build some equity and try out the home before committing to the purchase. Using rent-to-own may allow a seller to get a better price in a tough market. This purchase method poses several disadvantages for both sides of the contract, which should be weighed before a commitment is made. With a rent-to-own contract, the owner agrees to sell the home at a preset price up until an option date two to three years in the future. During the rental period, a portion of each rent payment is credited as part of a down payment against the purchase price. The renter/prospective buyer also puts up an up-front deposit that counts as part of the down payment if the purchase option is exercised. When the renter elects to buy, she must arrange for financing to pay the balance due on the house. If the renter chooses to walk away from the rent-to-own contract, the seller keeps the rental credits and possibly the initial deposit amount. With a rent-to own-contract, most of the benefits land on the seller's side of the ledger. The major disadvantage to the seller takes place when home values rise significantly and the renter/buyer ends up purchasing the home at what is a below market price by the time the transaction is completed. The other side of the price issue occurs when values drop significantly during the term of the rent-to-own contract. The renter can just walk away, and the owner is left with a home that could have sold for a higher price a couple of years earlier. The potential buyer on a rent-to-own has the opportunity to buy the home but must still come up with a way to finance the purchase before the option to buy expires. Rent-to-own renters often either have no or poor credit ratings, so they need to clean up their act, credit wise, before the contract expires. If the renter chooses not to exercise the option to buy, the money credited toward the purchase is lost, which may include some or all of the deposit. Another disadvantage to buy with rent-to-own is the limited number of houses that may be available for this type of purchase. Problems can arise for both the buyer and seller if the rent-to-own contract is poorly written or missed an important point. There is no standard for these contracts, so both sides need to make sure their interest are covered as much as possible. The contract may not be publicly recorded, so a dispute between the parties could end up in a messy legal fight concerning what was meant when the contract was signed. Both the seller and the renter may incur the extra expense of lawyers, either before the agreement to look over the contract or later to work through a dispute.